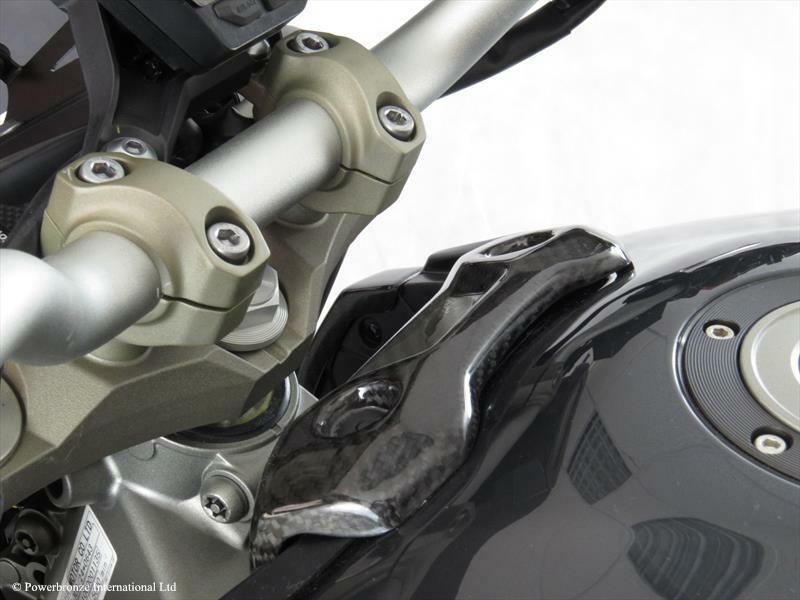 They’ve been in development for a while and the good news is the carbon fibre accessories for the MT-09 from Powerbronze are almost here! The range includes mudguard, hugger, chain guard, dash panel, side panels and rad spoilers all crafted from UK-made pre-preg Carbon Fibre. Powerbronze Rear Huggers come pre-drilled with all mountings – no drilling, no cutting, no tie-wraps! All Rear Huggers use steel-sleeved rubber mounting points to dampen vibration and avoid cracking. All brackets and necessary fixings are supplied. 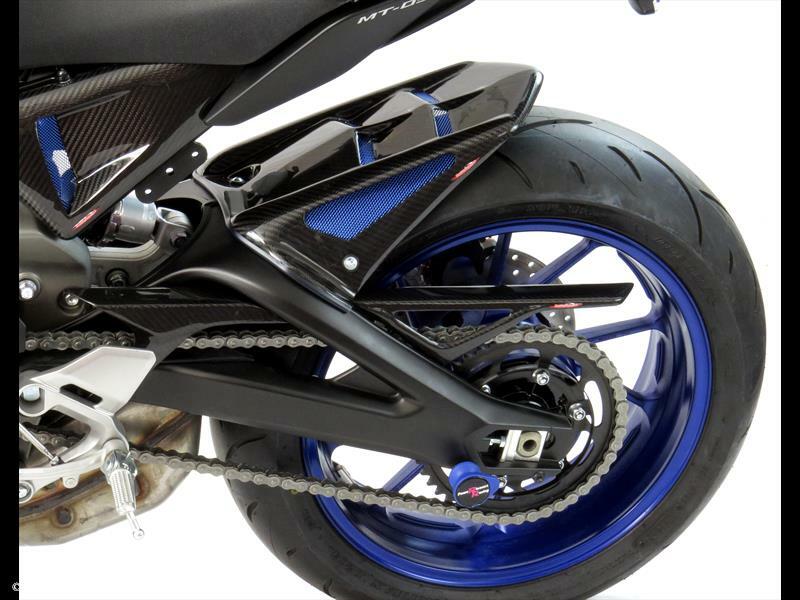 Carbon Fibre Chain Guards are a strong and lightweight direct replacement for the original plastic part. 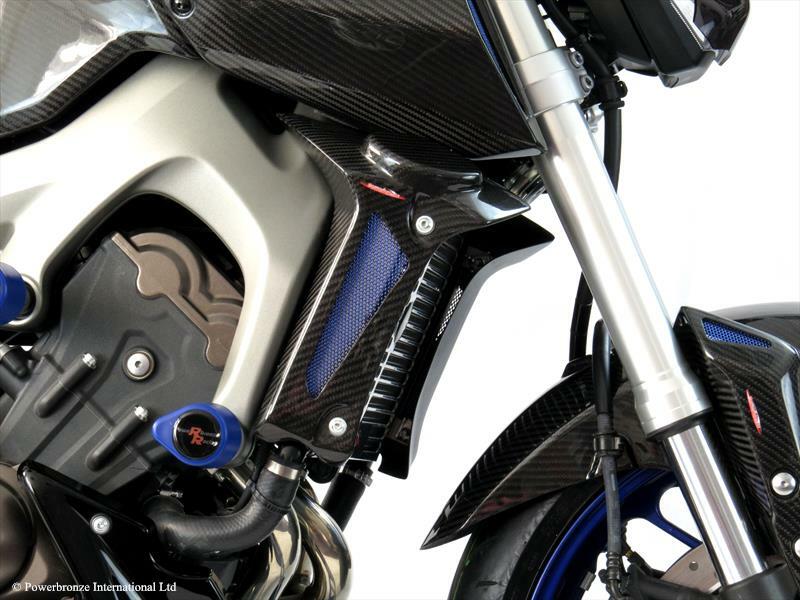 This Carbon Fibre Side Panel Set consists of 4 pieces and is a direct replacement for the original part, but more rigid and lightweight. 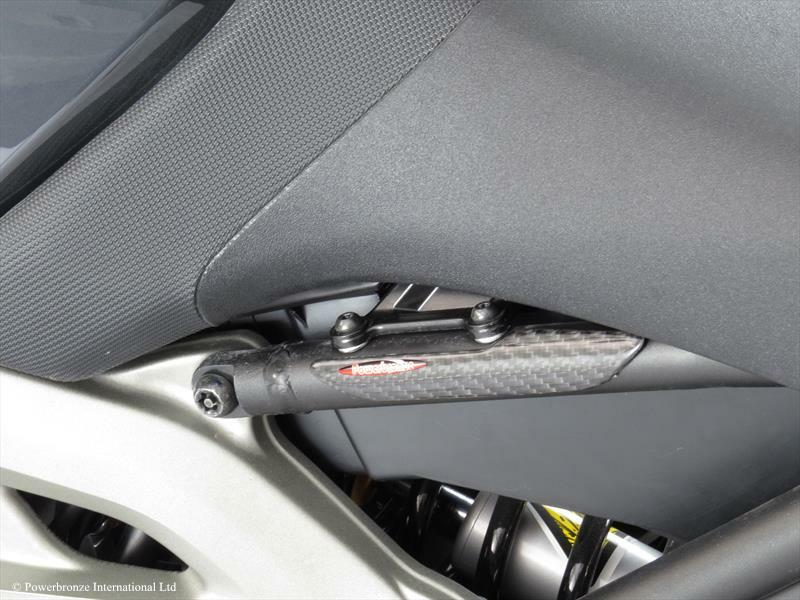 Powerbronze have developed Carbon Fibre Lower Side Panels with meshed vents that fit in the uncovered space below the seat. 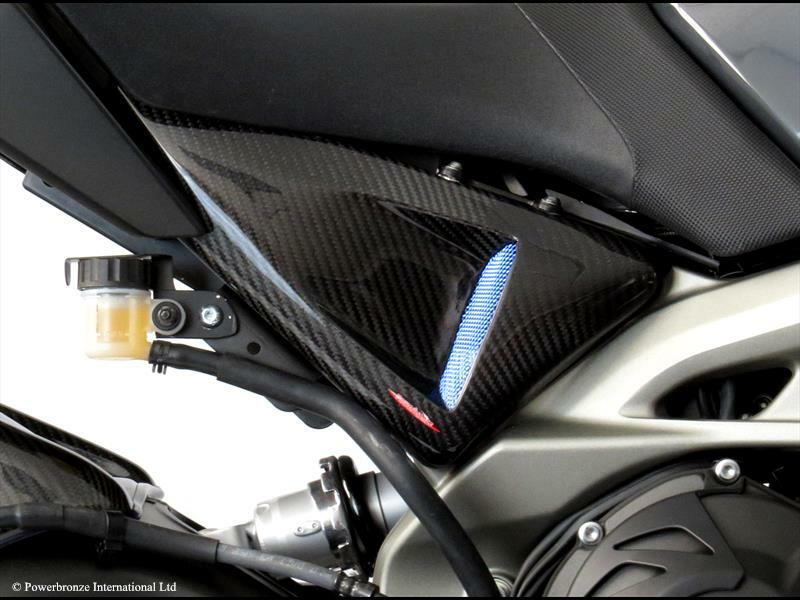 As an alternative to the Lower Side Panels Powerbronze also have available Carbon Fibre Frame Protectors to replace the original OEM parts. This Carbon Fibre Dash Panel is a strong and lightweight direct replacement for the original part. 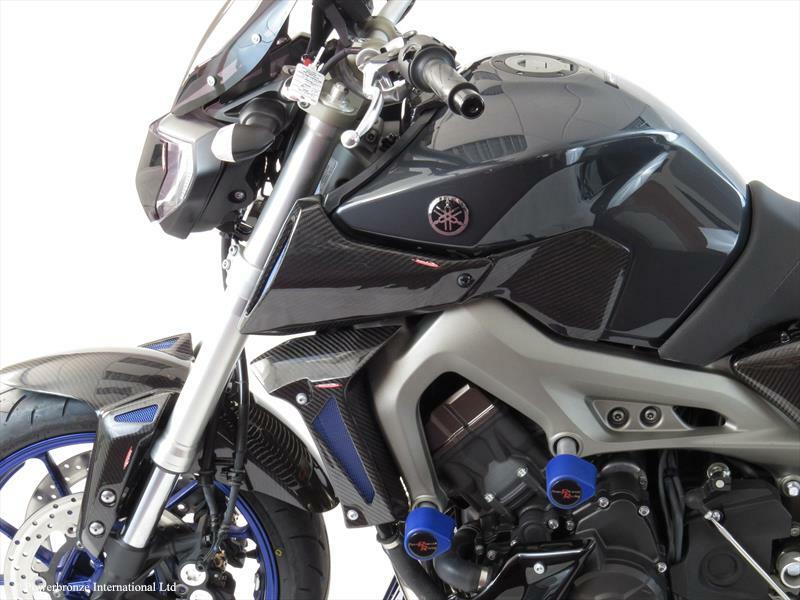 These Carbon Fibre Radiator Spoilers are available with either gold, silver or blue meshed vents and finish off the sides of the MT-09 radiator grill.